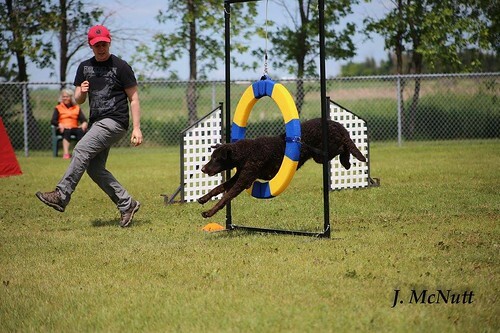 Dog agility is a sport in which a handler is given a set amount of time in which to direct a dog off-leash through an obstacle course. 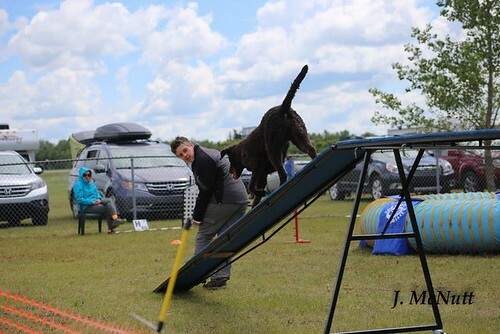 Originally loosely modeled on equestrian stadium jumpers competitions, the sport has evolved its own additional obstacles, scoring systems and performance ideals. 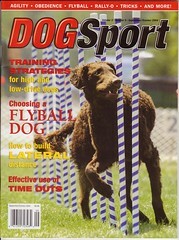 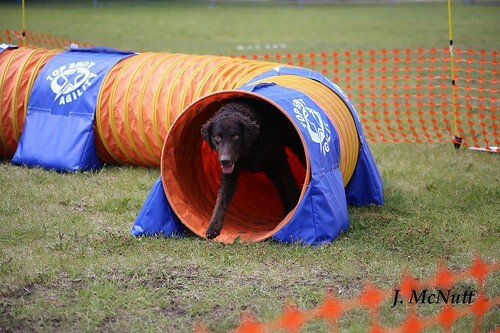 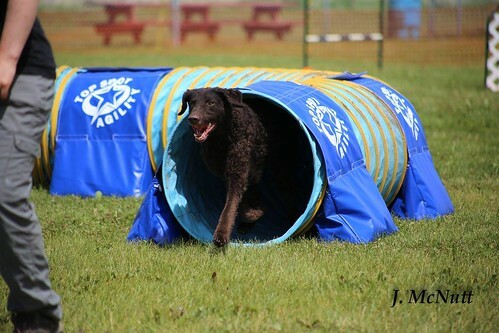 Agility made its debut as an entertainment for spectators at the Crufts Dog Show in 1979; it has since become the most rapidly growing dog sport in England, Western Europe and North America. 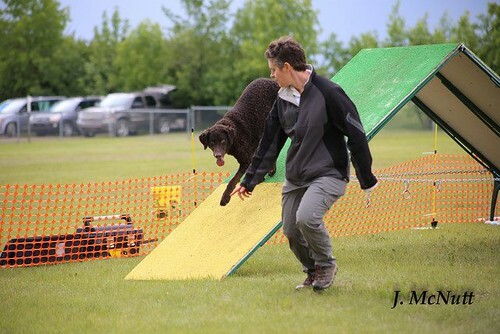 Spectators continue today to get caught up watching the dog and handler's enthusiasm in their athletic race against the clock.